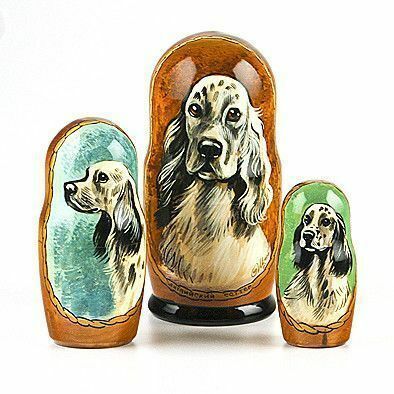 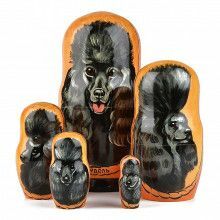 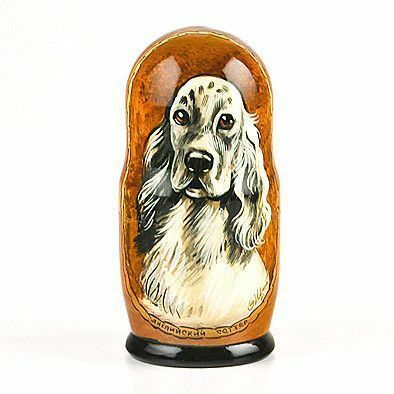 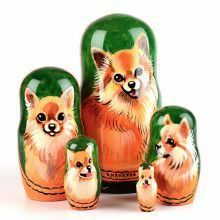 This nesting doll is the perfect unique gift for any dog lover, especially owners of English Setters. 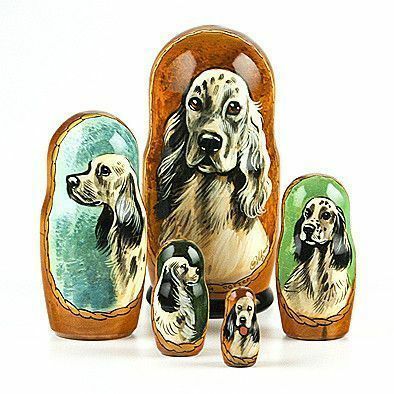 Each of the five dolls features a different picture of an English Setter; the largest doll is adorned with the signature of the artist who painted them. 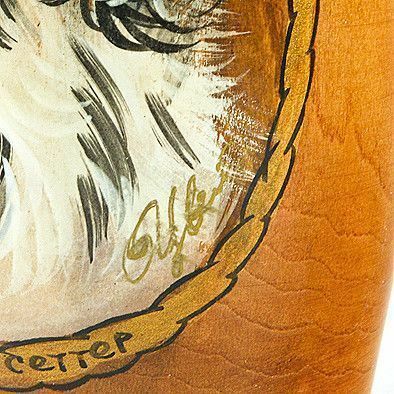 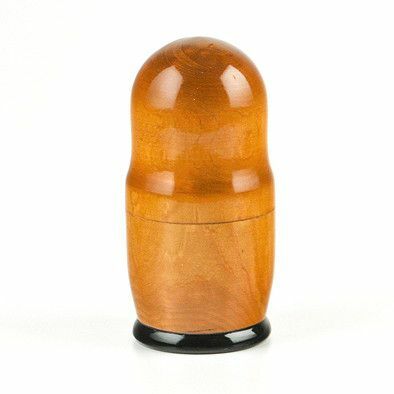 This doll was hand-crafted, and features a lacquer finish. 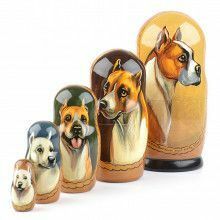 Nesting dolls are both a great, and interesting, piece of art, as well as an entertaining toy, open up a little piece of Russia today!